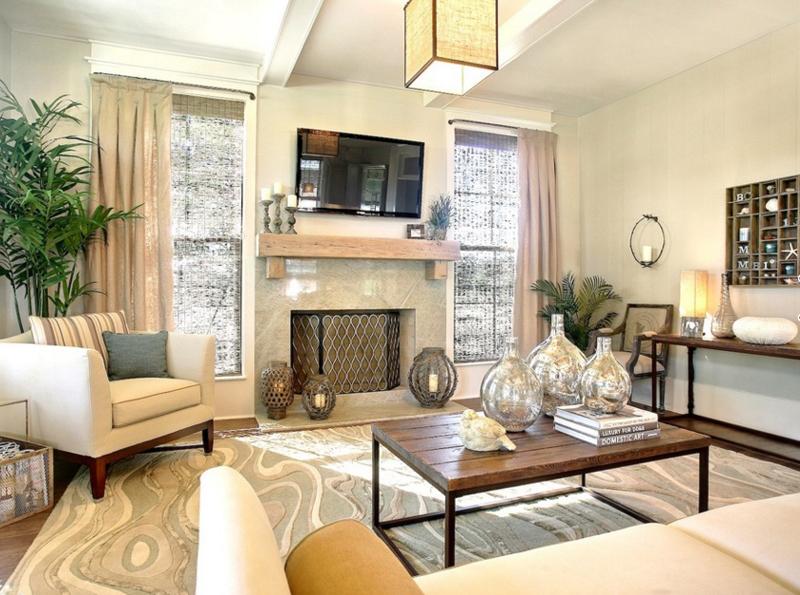 Your fireplace screen can also be an added decor to your living room. In this day and age, more and more things can be added to your homes to make it more pretty or to make it more homey; but for some designers out there though, they prefer making sure that what’s inside the spaces are the things that the clients need and not the decoration – these and some additional whatnots are mainly something they add for show or for fun. It doesn’t really have to be a minimalist space, but because of the limited spaces that home owners have nowadays, being minimalist is key to having the best looking and functioning homes. 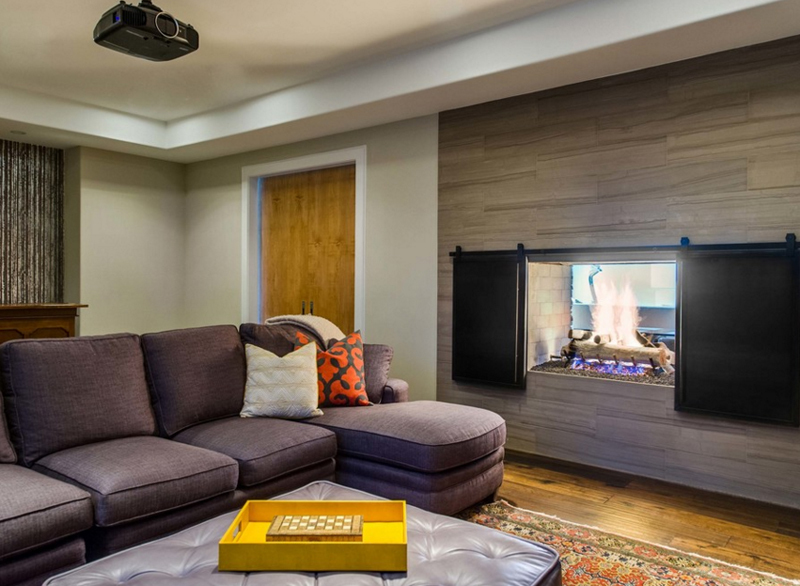 For today, we will be seeing a couple of living room spaces that have wonderfully designed fireplace screens that I think would be fun to look at. Being in a place where the weather turns 16 degrees during the nights, I wish we sometimes have a fireplace. 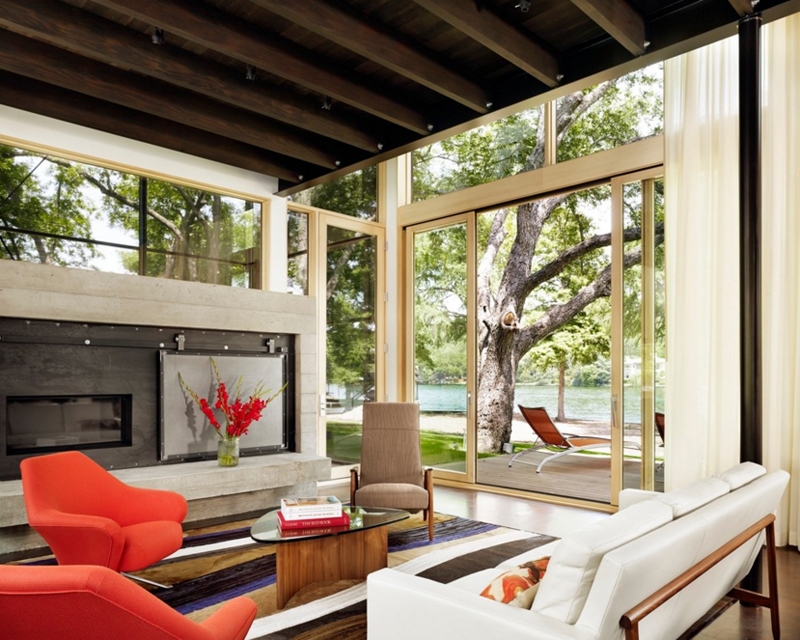 Take a look below and check out the 20 Stunning Fireplace Screens in the Living Room. Fancy a simple but stunning design for your fireplace screen? Well, it looks like this living room offers just that. 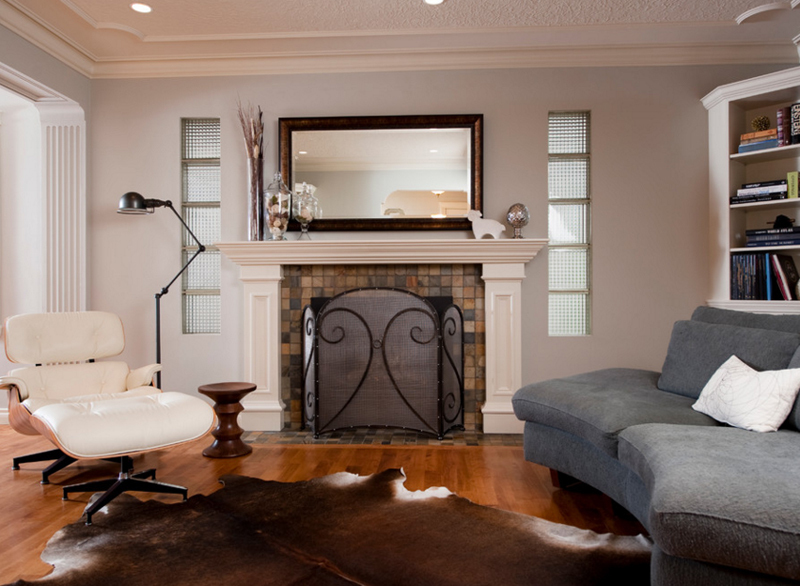 What do you think with the contrasting colors of the fireplace and the fireplace screen? It works well and blends well with the mantle and the plan wall too. 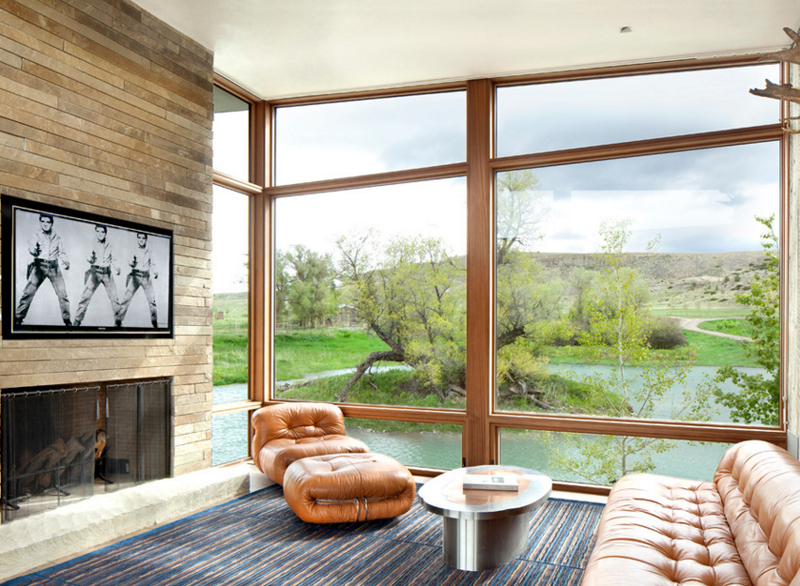 Now, this is what a breath-taking living room view looks like! I can’t imagine wanting to stay away from this window because of how stunning this view is. It was even the first thing that I noticed – even before the beautiful living room furniture and fireplace! Model homes are usually staged well for clients to see what the potential of the house is – in terms of interior and furniture design. In this case, we can see that this Bocage house is in fact one perfect place to live in. The decorations are pretty, the furniture looks great too! Notice the cute fireplace screen below the television. 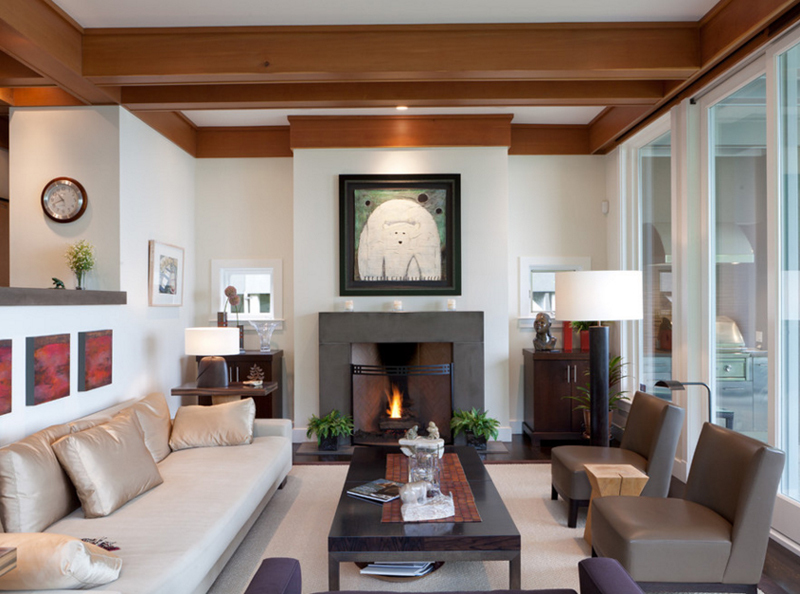 Take a look at the contemporary look of the fireplace screen seen in this Boston home. 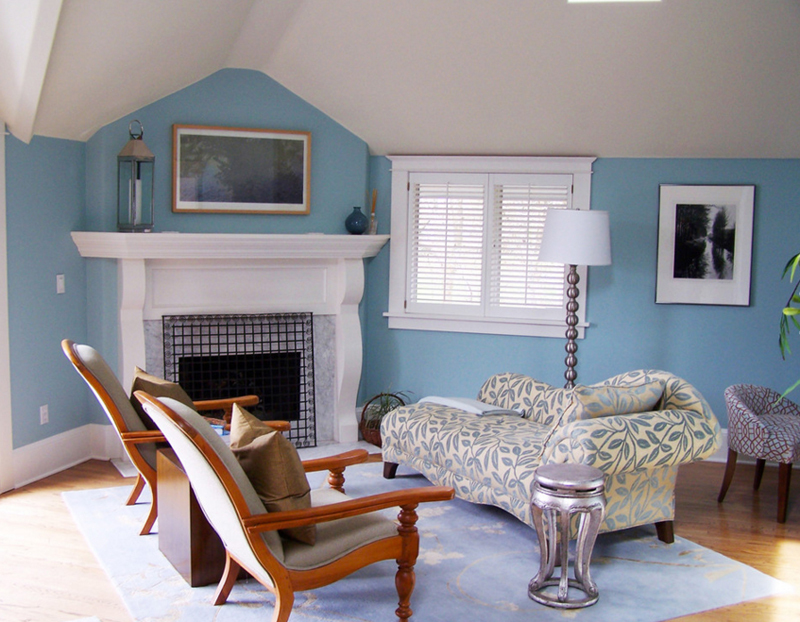 The furniture are in white and the walls are in light blue – adding lines like the ones on the table lamp, the vases on the mantle and the fireplace screen itself added hints of length and it looks great! This surely is one spectacular living room – I can’t imagine what this space used to look like but this is one cool space. 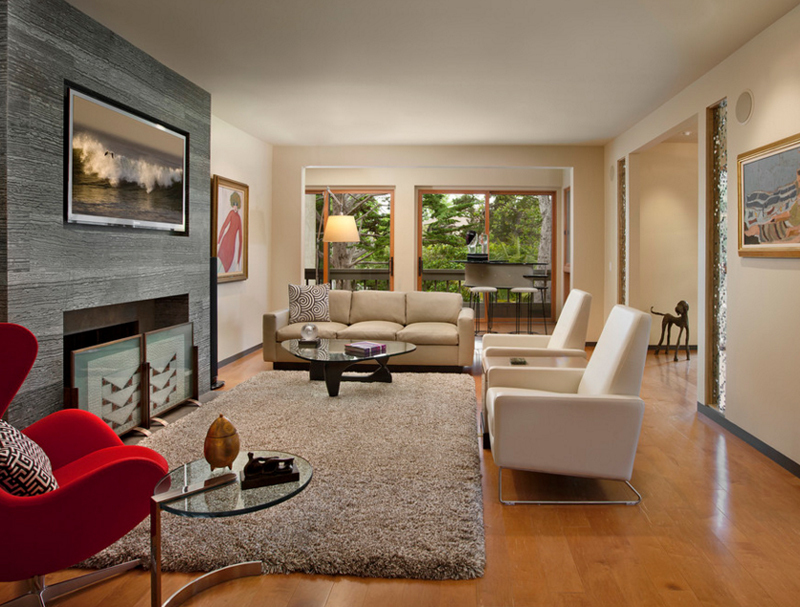 The accent chair is something we do not really see a lot plus the coffee tables are neat too. For one thing, I think that the fireplace is stunning with that finish and fireplace screen. This is one nice space for hanging out and just spending some quality time with the family. The fireplace screen is pretty and contemporary and this sure is something that you see in rustic spaces – unlike in this living room that sure is contemporary. 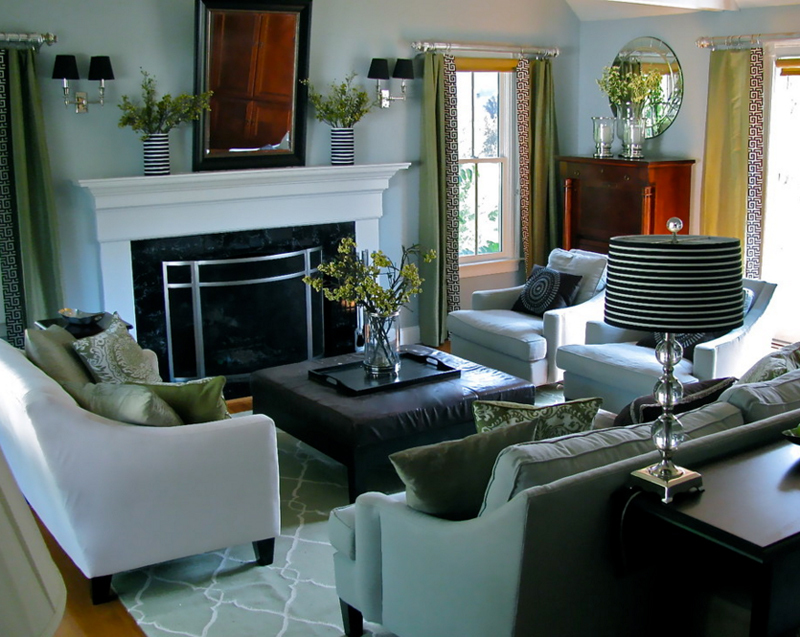 If you thinking about re-doing your fireplace – then check out the one in this living room; the design is simple but sure is not blah – a couple of things were put together to make sure that the fireplace will not only look great but also be dashing! Notice how much prettier the area became of the fireplace screen? 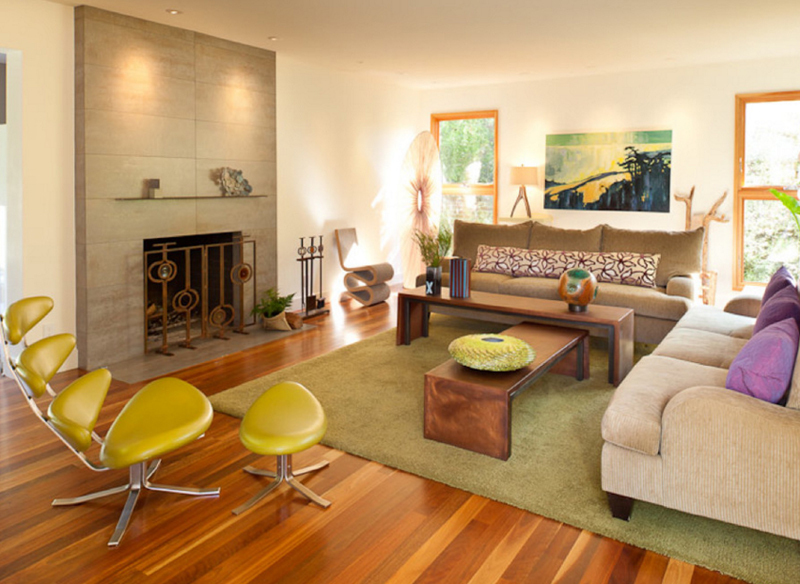 Look at this wonderful living room with the stunning set of chairs and cute coffee table! I mean, this space is just wonderful with the design and materials used in this space. Even the mantle is as stunning as the fireplace screen! Who said you can’t do this wonderful combo, right? The sectional in this living room is not your regular sectional because this sure looks like it’s about to close up like a circle! It’s always nice that the end part or the center of this whole space is the fireplace with the television and the stunning fireplace screen. I like the fact that the fireplace screen in this Eastern shore living room blends well with the main color of this space. This space might need a little bit more color that would contrast with the yellows and the gold but I think the white ceiling, the white mantle and the dark brown table and stools does it for this living room. If you step outside of this living room, well, even just looking at it at this angle, you can see the wonderful design of nature waiting for you. Well, aside from that, you see how much lovely the living room is – with the unique pieces of furniture and the large glass walls which surely allows you to see how nice the outside world is. The color palette of this living room is quite neat – it is somehow like a combination of earthiness (if that word even exists), and that feeling of serenity and solace. The decorations and even the mantle of this living room are a bit rustic, don’t you think? In one of the lists that I have created about fireplace screens, I’m pretty sure that I have included one design either the same as this one or something quite similar. I personally like the design and the color of this one – and if you take a close look, the Leopard prints or the swirls seen on the furniture is quite matchy to the screen; also, I love the colors in here. The walls in this space are quite unique – I think that this is somehow an accent wall that was made to create a feeling of a loft while having the look and feel of a contemporary living space. The furniture is actually nice to look at plus the fireplace area along with the screen is a bit old school with a hint of the modern age. It might not seem a lot, but I would want you to take a look at the details on the glass fireplace screen in this picture. It sure looks simple, but it sure is not every day that you find minimal prints or at least have prints in glass fireplace screens. For the most part, they are either in stainless steel or stained glass. 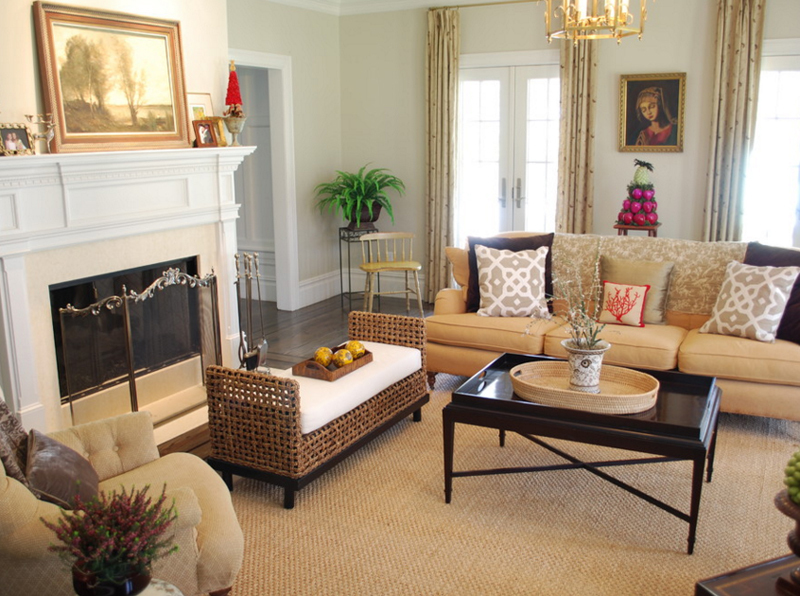 The cute rattan chair in front of the fireplace sure does not beat the beautiful fireplace screen. The design is some usual floral and leaves twirling in it but it sure complements with how neat and simple the fireplace mantle is. If you notice that this space has tons of textures in it, I think you’re in for a ride once you see the entire house! Now, the blue and white wall and ceiling tandem seen in this Portland home sure looks sweet and simple – something someone who fancies simple living would say. I think that this living room is really lovely in its own way. I actually think that the color and the furniture choices in here is really nice. Another beautiful living room with just enough stuffs inside it that seeing the outdoors seems something worth looking forward to. Minimalist spaces can sometimes be tricky – in terms of how pleasing to the eyes it is, but with this one, I think that the designers did a great job! So much is going on with the wall – I love it! One thing nice about the designers nowadays, is that they try to make most of the spaces – from the multi-purpose chairs or ottomans that give additional storage, walls now are being used more too – to recessed and non-recessed shelves and to many more things. 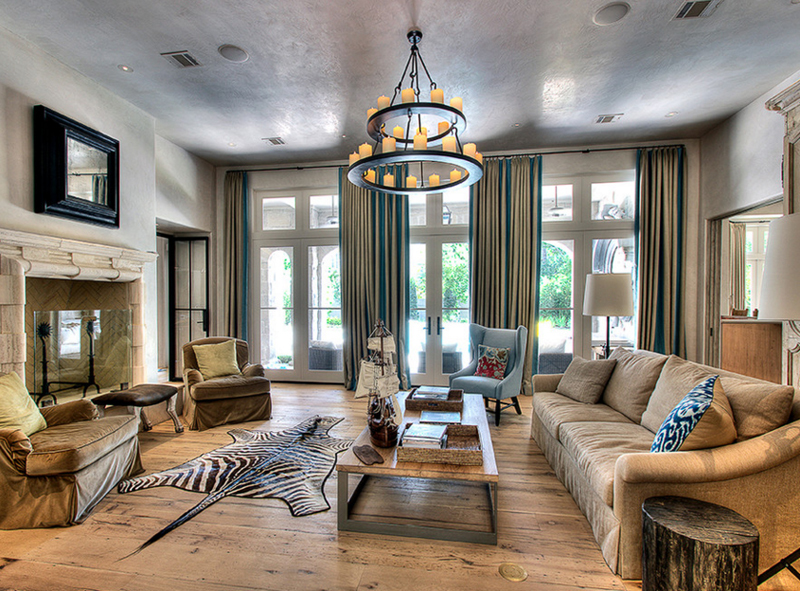 This contemporary living room sure is something nice to hang out in. It’s hip and fun-looking even when you see very minimal colors. I think that adults would really love to stay here for drinks and Poker nights. 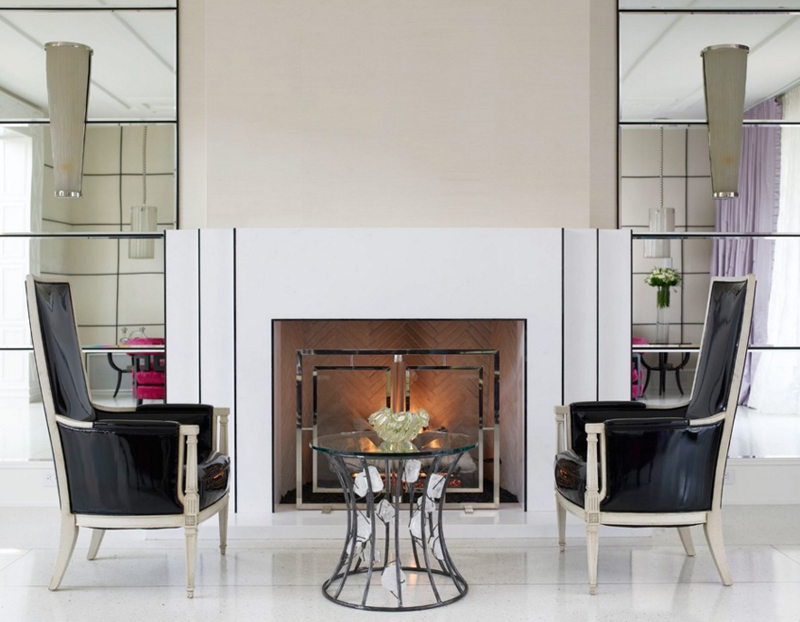 And if this list isn’t enough, I think you should take a look at the other fireplace screen designs and check out the beautiful fireplace screens available in the market. Of course, I’m pretty sure that there are more designs in the market, I still think that the samples in here are really beautiful and interesting. More to come in Home Design Lover guys, thank you for continually checking our lists in here!